Here is the support thread for He-69, Helios inspired EQ. within a hour from now; rack version PCB will be available very soon. 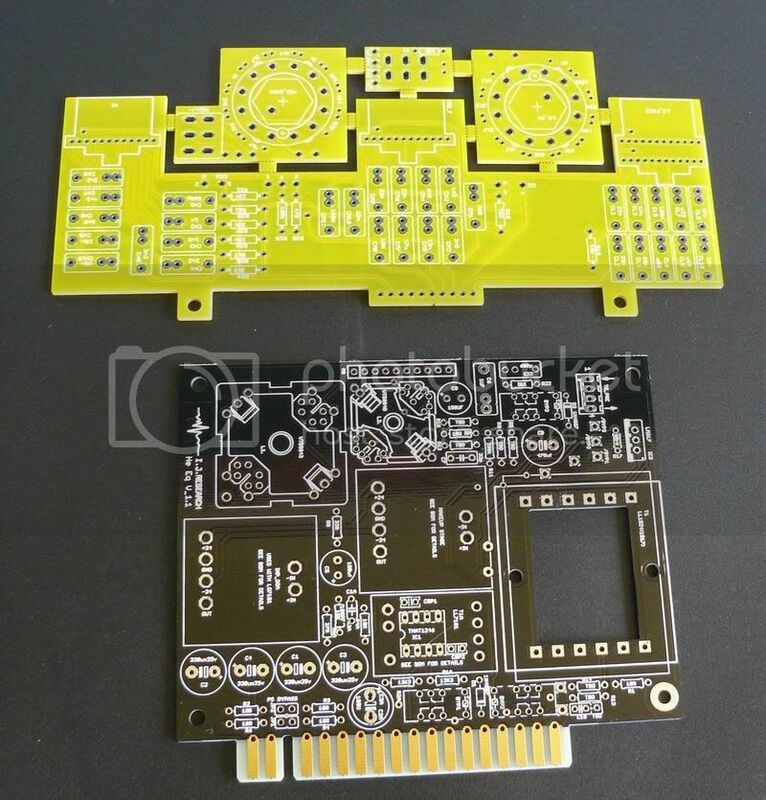 PCB set is as usual, high quality, Israeli made. 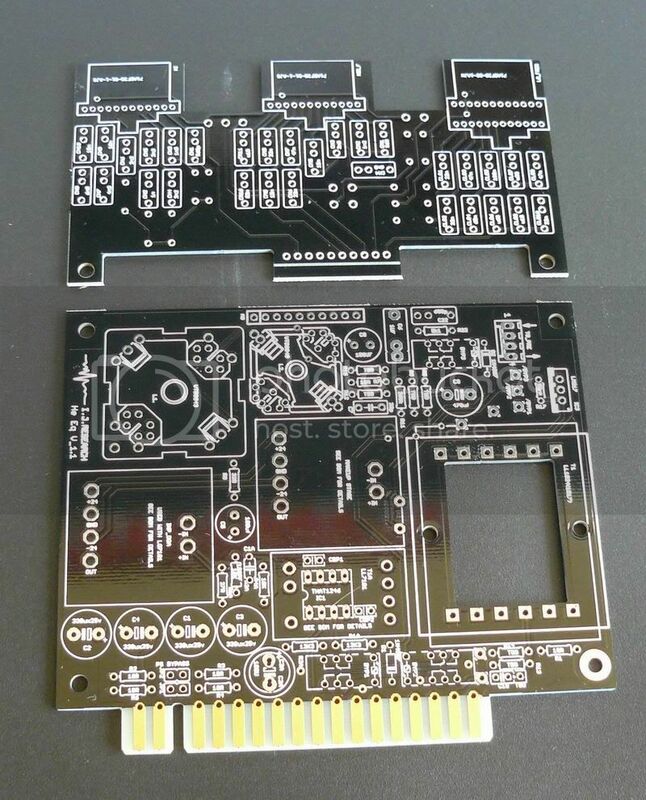 Kit contains: PCB set, black Aluminum anodized, machined/engraved front, bracket, inductors, mounting hardware, DOA sockets. it should be ready at Sept 26th). Re: He-69 build/support thread. PCB's/kits-available! Mate, where are these knobs from? these knobs, usually in black, are available from Farnell. 10mm wing knob, 10mm knob, grey, without line, + black skirt with line, + black cap with line; 3.15mm shaft. can be stacked for concentric pots, can be used with skirt/pointer, etc. Excellent quality BTW. Anyone build this yet? I'm thinking of pulling the trigger as I am in need of some hardawre eq. Doesn't look like it'd be too difficult of a build. I built 8 of these EQ's at the moment. It is way more simple than 90% of my other projects. Care to share your thoughts on the plus and minuses of the transformer vs the transformerless versions? 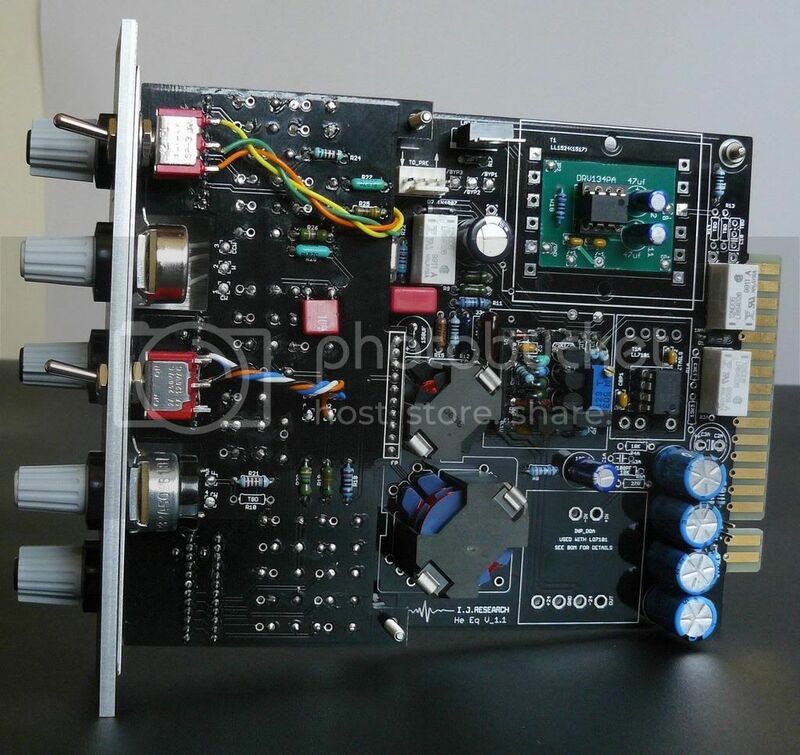 I noticed your store on diyrecordingequipment no longer is offering the partial kit anymore. Will you be selling partial kits for these again? Last time I more and more tending to clean sound with bit of second harmonic. Too much distorting Iron is long time ago out of my style. However, the combination which I liked very much sound-wise is LL1524 and balanced line receiver. Thanks for the reply. I'll be getting a couple at some point, hopefully sooner rather than later. Glad to hear the kits are back. On the mid section front panel layout I think the switch should have PK above and TR below (for trough) - not TH. Thanx Ian! Will fix for the next batch. Please can you tell me if 9048 is on right position? Here. Took less than a year!!! Woa!!!!! Carenhills. On back side of PCB printed inductor values at each pin. I don't have schem at this comp. I really can't understand that what I need to use for R12 and R15? next question is about R17! Can I use 51R ? last question is about R17! Can I use 51R ? r17 depends on relays coil resistance. Mine are 200R; yours can be different. Take one relay, measure the coil resistance with ohmmeter, all calculations are shown on schemo/datasheet. The voltage on each relay should be 5V, and voltage on r17 should be 1.25V. The rest is Ohm's law. In case of use 1:1 output transformer, use 4k99, about 200pf (+/-30% is fine), and 511R. What transformer and discrete op-amps are used? 50K low-boost resistor. See the picture. Tie 3 pins together. Connect free pins. 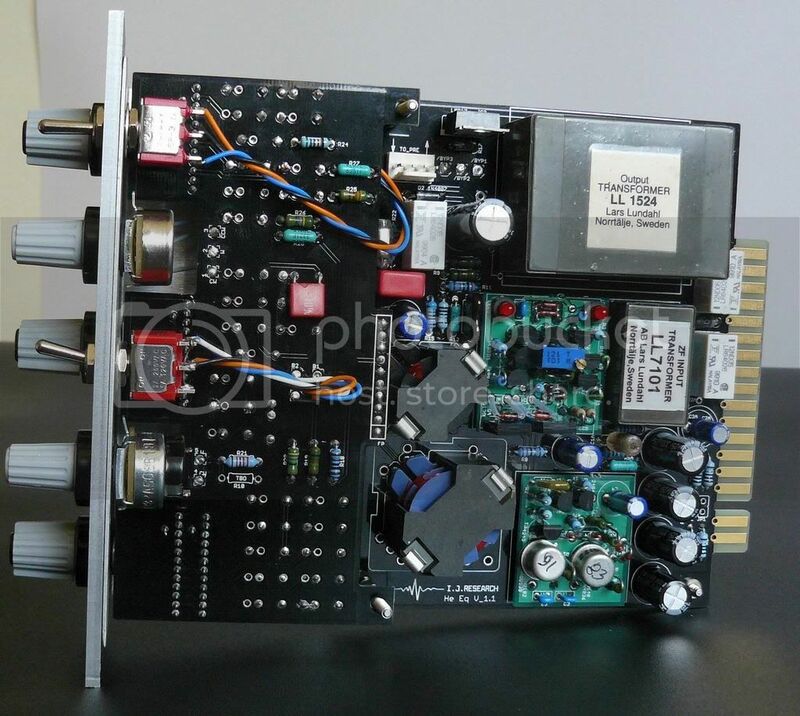 Mic Pre Kits PCB's Etc Whats Available? PGA2500 KITS: AVAILABLE. 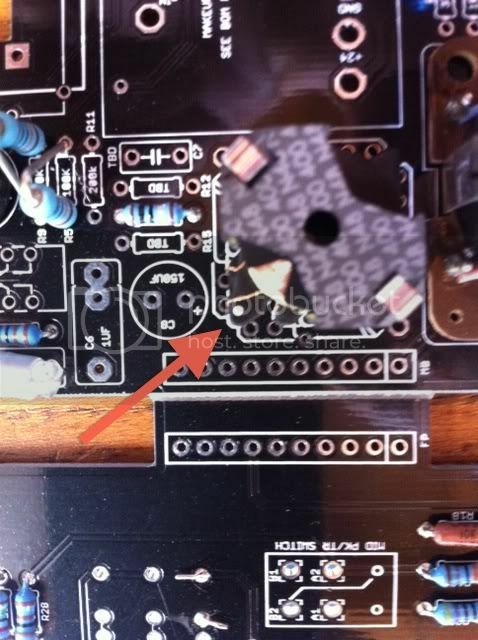 BLACK PCB, SUPPORT THREAD.